COSAFA | How you can watch the 2018 COSAFA Under-20 Championships! COSAFA Men's Under-20 / How you can watch the 2018 COSAFA Under-20 Championships! 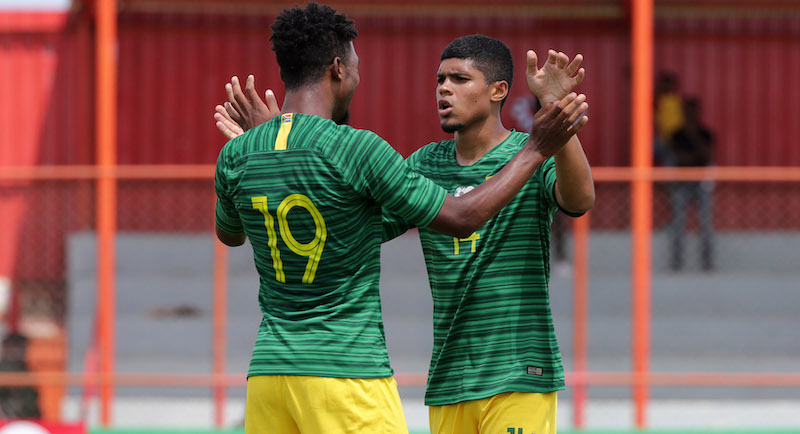 How you can watch the 2018 COSAFA Under-20 Championships! The 2018 MOPANI Copper Mines COSAFA Under-20 Championships will be decided on Thursday as the final and third-place play-off end what has been a fantastic tournament! Tickets for all matches are available at Webticket at Pick ‘n Pay stores in Kitwe Town centre, Mukuba Mall, Ndola town centre, as well as at the gate at the Nkana Stadium. They are priced at 20 Kwacha for all double-headers and 10 Kwacha for single games. You can watch the matches live on Kwese Free Sports (www.kwese.com) across the African continent, be it on your computer, tablet or phone! You can also follow the live action on their Facebook page or on YouTube.